Am falling a bit behind in putting up fresh ragas, so here’s a small episode from a recent concert, where I played the afternoon raga – Madhuvanti. (Known as Dharmavati in Carnatic music). The phrase S g m brings great tension to this raga. The roll back to the R on the descending relieves some of this tension. In some ways, Madhuvanti is the logical successor to Multani – which has a more stricter form than Madhuvanti. 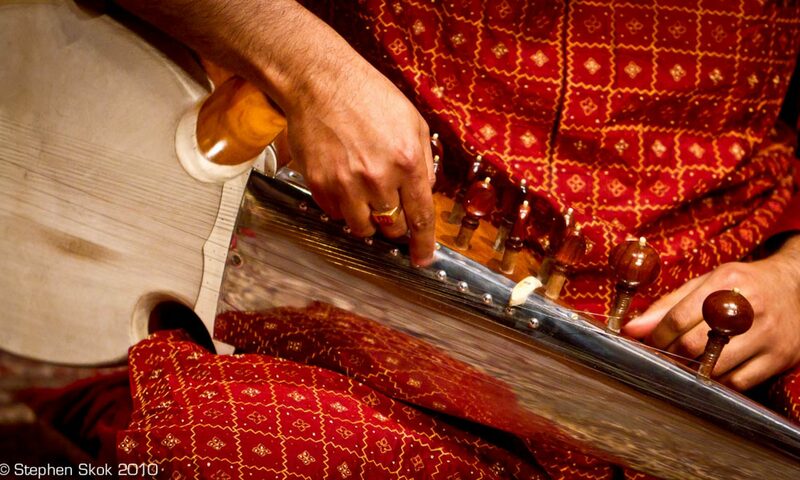 A few points to students about the whole set up – you will notice especially in the vilambit the degree of sustain – especially after the gat ends – the Re lingers on… This is primarily achieved by having a perfectly tuned sarod. I play the Amjad Ali variant of the sarod which has less sustain than say the Maihar construction, but with perfect tuning, you can get very good sustain and clean sound. Please, please tune the tarabs and other strings to perfection before starting. It is vital. Will be setting up a Youtube Channel in Sep/Oct. Off to Varanasi – back mid September.